(CNN) - The father of Meadow Pollack, one of the students killed in the Parkland, Florida, school shooting, filed a wrongful death lawsuit Monday against former Broward County Sheriff's Deputy Scot Peterson and others. Also listed as defendants are Nikolas Cruz, the shooter who killed 14 students and three teachers on February 14 at Stoneman Douglas High School; the estate of his mother, Lynda Cruz; James Snead and Kimberly Snead, a couple who let Cruz live with them after his mother's death; and three mental health centers where Cruz was treated. Peterson, who was the armed school resource officer that day, comes in for special scrutiny in the lawsuit filed by Andrew Pollack, Meadow's father. Ten of the complaint's 26 pages are about Peterson. The lawsuit says Peterson locked down the school, preventing students and teachers from escaping Building 12 during the attack. 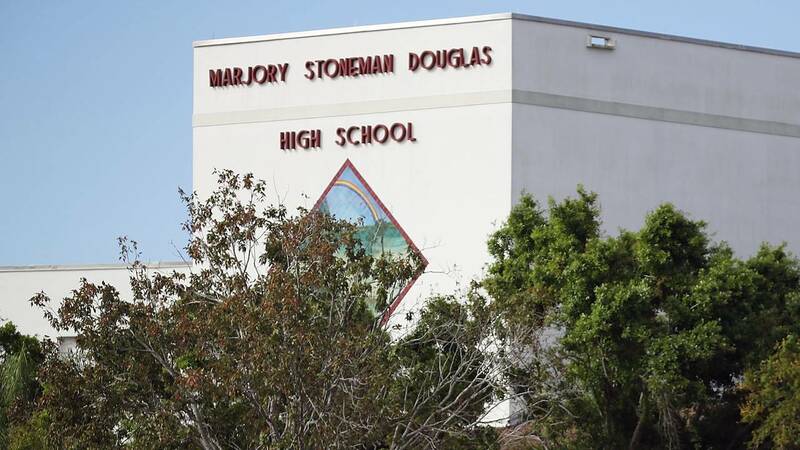 "The pusillanimous Scot Peterson remained safe in his position away from Nikolas Cruz, never once attempting to go inside Building 12, where the school resource officer knew the shooting was taking place, never once attempting to save a life, never once attempting to fire a single bullet at Nikolas Cruz," the complaint says. "Scot Peterson waited and listened to the din of screams of teachers and students, many of whom were dead or dying, and the blasts of Nikolas Cruz's repeated gunfire." Peterson and his lawyer could not be reached for comment on Monday. Previously, Peterson's lawyer, Joseph DiRuzzo III, has said Peterson did not enter the school because he believed the shooting was coming from outside the school buildings. "Let there be no mistake, Mr. Peterson wishes that he could have prevented the untimely passing of the 17 victims on that day, and his heart goes out to the families of the victims in their time of need," DiRuzzo said in a statement. "However, the allegations that Mr. Peterson was a coward and that his performance, under the circumstances, failed to meet the standards of police officers are patently untrue." Andrew Pollack lashed out at Peterson via Twitter on Monday, saying: "I filed a wrongful death suit against Deputy Peterson today. I want to expose that coward so bad. Where ever he goes I want people to recognize him and say that's one of the cowards of Broward. The SRO that let those children and teachers die on the 3rd floor!" The Sneads "knew or should have known that Nikolas Cruz suffered from mental illness and was a threat to others," the suit says. The couple also should have stopped Cruz from obtaining weapons, the complaint says. "As far as the Sneads are concerned, I don't think they're legally, morally or ethically responsible for what Nikolas Cruz did," he said. "These folks basically opened their home at the request of their son for a classmate who had lost his mother. They tried to get him some mental health counseling, they insisted that any firearms brought into the home were locked up. He's an adult, he's not their son. "Just because you can sue someone doesn't necessarily mean you should. At the end of the day, these lawsuits may bankrupt the Sneads. They don't have bankruptcy insurance. It's very unfortunate that these folks just tried to help -- he (Cruz) certainly betrayed their trust. "To make them legally responsible, to bankrupt them, is unfair. We'll defend the lawsuit. Theoretically, if everybody whose child died or was injured sued, we're looking at 60-some odd lawsuits coming at them (the Sneads) which is unfortunate. This is a really stretch theory of negligence and duty. They were not acting in the place of a parent, they just offered him a place to stay." The suit says Lynda Cruz, who died November 1, 2017, was negligent in not making sure her son received proper mental health care. She had previously told police her son had acted violently toward her, suffered from attention deficit hyperactivity disorder, obsessive-compulsive disorder and had anger issues, the complaint says. The mental health centers where Cruz was treated -- Henderson Behavioral Health Inc., Jerome Golden Center for Behavioral Health Inc. and South County Mental Health Center Inc. -- should have recognized Cruz was mentally ill and a threat to others, the suit says. CNN reached out to all listed defendants for comment by phone and/or email, and received a response only from the Sneads' lawyer. The lawsuit does not specify the amount of monetary damages sought.